The innocence in those eyes and the peace her presence emits is strong enough to calm a storm, trying so hard to qualify and quantify how I perceive her beauty and charm. Meet ZILLIONATE BILLIONATE, Nigeria’s next Facial & Runway Model. Her name is Harry Abigail, popularly known as Zillionate Billionate, a native of Oruk Anam Local Government Area in Akwa Ibom State, born on 14th February, 1998 at the University Teaching Hospital, Uyo. Listening to her talk about life and her modeling career, life has been a roller coaster, a battle field and a big school for learning…. 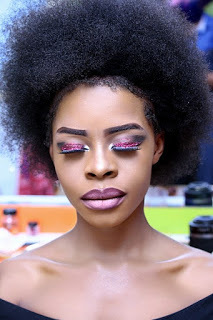 Zillionate started modeling way back in Calabar where her beautiful face was used for picture graphic and some other Modeling projects. In her first project; she advertised and promoted the campaign of the girl child; talking about their impact as they live to contribute the society. Listening to her talk about life and its experience, in her words: “Life is worth living for the future, a blend of beauty and brain, a lady you would love to work with”. When interviewed by Xsquad Magazine Crew, Zillionate talked about her challenges. Her philosophy in life is: “No matter how hard it seems never give up on your dreams”. "When Challenges come up, I don't say why me, I say try me, how can I use this? How can I gain from this?”She added. 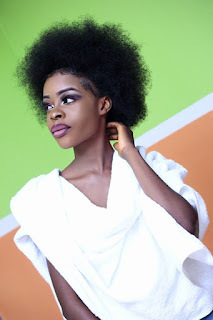 Zillionate is one of Nigeria’s next rated facial Model the world is waiting for and having started her modeling carrier from her teenage, she is set to take a bold step as she is unto the next level with her new stunning pictures.